Cornwall is hailed by many to be the most beautiful of places. Visitors who travel worldwide, who come to stay in Cornwall often describe it as the most magnificent place they have ever seen. Cornwall's beaches, its cliffs, its rivers and moors, the sheer variety and diversity of Cornwall's natural environment is breathtaking. The rugged towering cliffs of Cornwall's North Coast giving way to the gentler, softer slopes of the South Coast. Marram grass covered dunes. Beaches of golden sand extending for miles at a time. Tiny rocky coves with tidal pools filled with a rich variety of small sea life. Sheltered valleys providing a home and a breeding ground for a wealth of resident and visiting birdlife. Tumbling moorland streams which mature into broad treelined rivers winding their way to the sea. 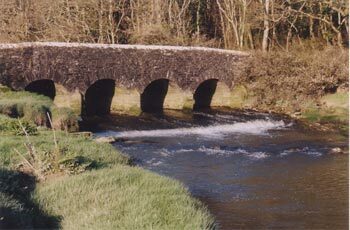 Bodmin Moor with its granite tors, and valley bogs is the source of the beautiful River Fowey (pronounced Foye). Magnificent estuaries on both the North and South coasts. The Hayle, Camel, Fal, Helford and Fowey estuaries which support a wealth of plant, bird and animal life. Natural harbours including Falmouth Harbour which is believed to be the third largest natural harbour in the world. Cape Cornwall, the only cape in England and Wales with its stone chimney, a reminder of its mining days and the ruins of St Helen's Oratory, believed to be a Celtic chapel. Goonhilly Downs dominating the Lizard peninsula plateau is a fine example of wet heath. And what makes it even more special is the rock on which it stands - serpentine. This strikingly beautiful stone, which occurs in a variety of colours and which is today carved and polished to make stone ornaments, is believed to have been formed 375 million years ago. On The Lizard peninsula, the combination of the base-rich serpentine soil and its extreme southerly position creates a unique habitat for an abundance of rare wild flowers and plants including rare Cornish Heath hybrids. Today on Goonhilly Downs, you can stand side by side with your prehistoric past and the technology of the present and the future, as Bronze Age stone monuments such as the Dry Tree standing stone rub shoulders with the huge antennae of the Goonhilly Downs Earth Station. 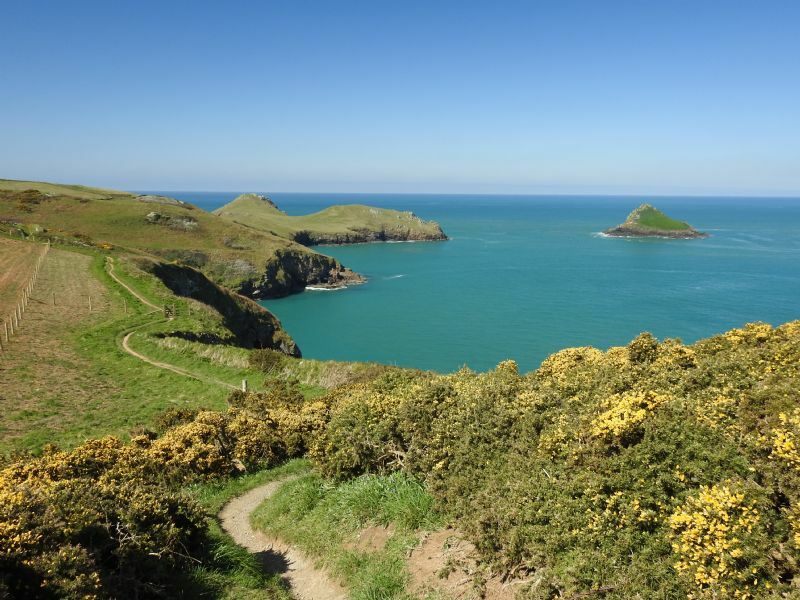 These are just some of the numerous examples of Cornwall's natural environment which you can enjoy. 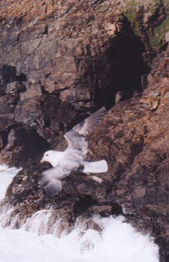 Cornwall has an abundance of animal life both above and below the waves. 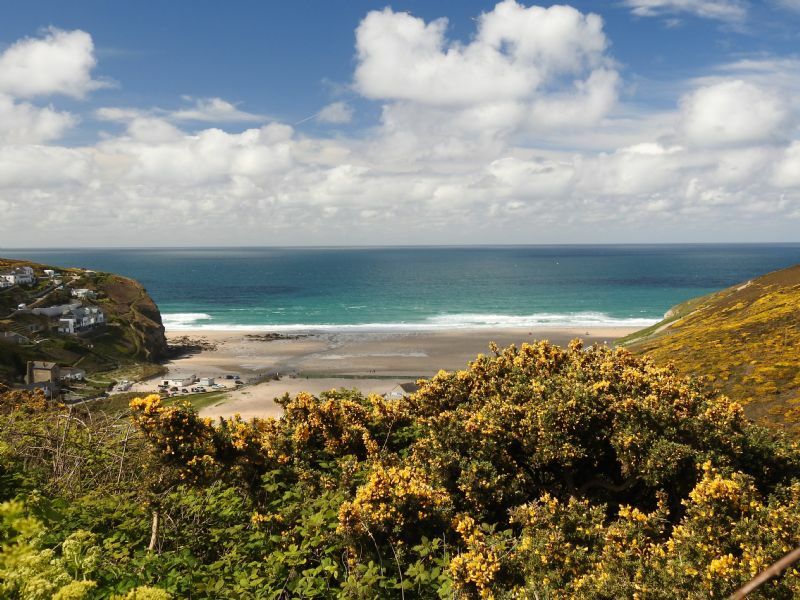 The Cornwall Wildlife Trust has established many reserves throughout Cornwall and exists to conserve all aspects of wildlife in Cornwall. And in the middle of all this natural beauty, the cultivated beauty of spectacular gardens containing numerous splendid sub tropical plants and trees. 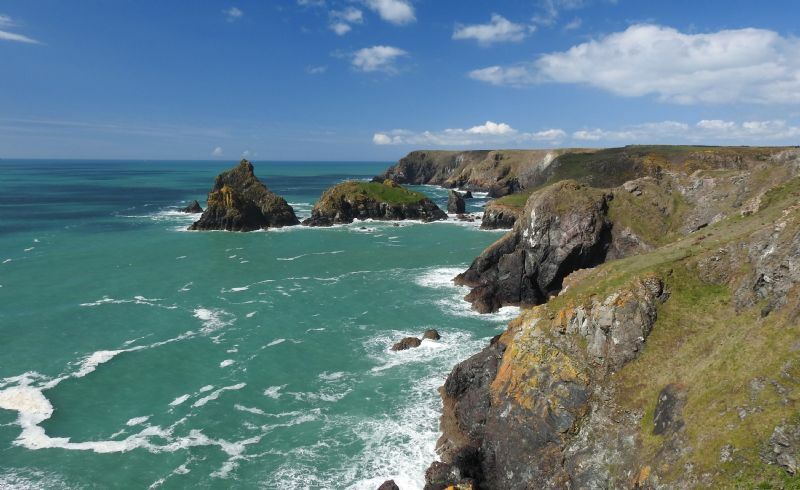 Cornwall's climate is milder than any part of the UK. Spring begins early and carpets of flowers begin to appear as early as January. Dog owners will be pleased to know that Cornwall has many dog friendly beaches, some of which are dog friendly all year round. The Farming & Wildlife Advisory Group SouthWest (FWAG SouthWest) is a registered charity representing the region’s farmers and landowners in the delivery of wildlife conservation. 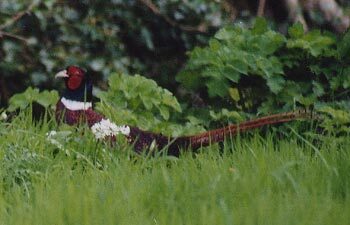 For information on all aspects of Cornwall's wildlife and how to conserve it.